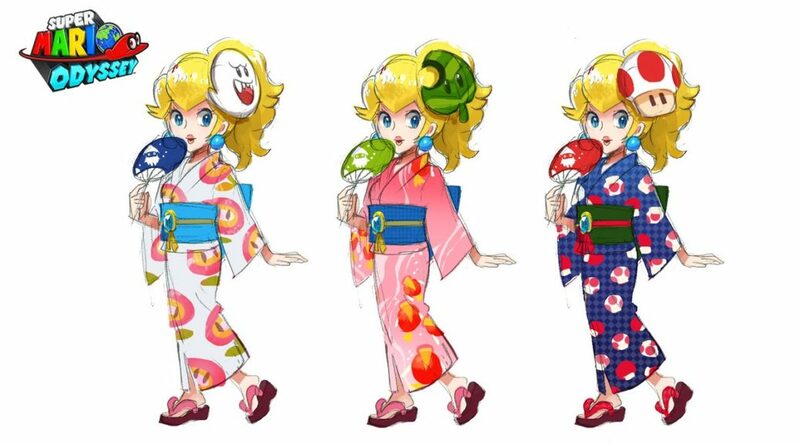 The official Super Mario Odyssey account has shared a piece of concept art featuring Yukata Peach. The rough sketch shows Princess Peach wearing a Yukata in different styles along with a giant hairpin. The artwork was revealed to celebrate Natsu Matsuri in Japan.